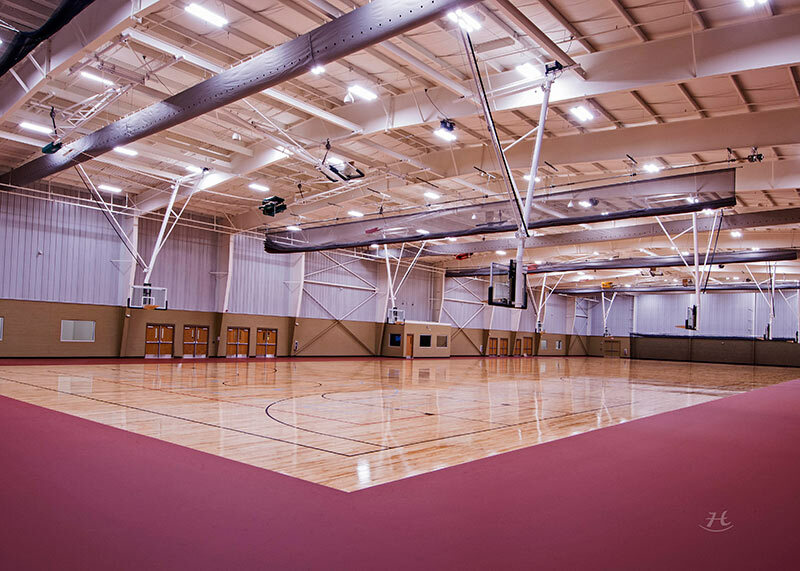 In 2017 a new 56,000 square foot gymnasium facility was added to Ephram White Park and includes four middle school courts, two high school courts, four indoor volleyball courts, two indoor batting cages and three meeting room facilities available for public use. Applicable fees and charges may apply. Ephram White Park is one of Warren County Parks’ newest parks. It was named after the late Ephram White, who served many years as a magistrate of the Richardsville/Anna District of Warren County. The park is located on Highway 526. The brick home on the property of the park was built over 100 years ago by James Henry Rose, one-time Judge of Warren County, on land that once belonged to the Gossom family. The property remained in the Daughtery family until 1949, when Mr. and Mrs. Jimmy Goodman, Sr., purchased it. Warren County Fiscal Court purchased the property in 1997. White Park offers a four-field lighted complex with restroom/concession facilities. It also has one picnic shelter and playground area, a five-mile walking trail, a cross-country trail utilized by Warren East High School, and an 18-hole disc golf course that is the host of several annual tournaments.